When the dining halls at Yale serve chicken tenders, everyone smiles a little bit brighter. Eyes shine, brimming with tears as the YDN reports that yes, it is indeed “Chicken Tenders Day.” With chicken themed stories landing on the front page, hand breaded tenders have transcended their fleshy prisons into myth, manna from above. Students have even created a website notifying inquiring students about the dining halls’ tender supply. Despite Yale’s deified tenders, I wondered whether there was a whole world of chicken yet to be explored. “Blasphemy!” they told me. “You’ll never get out of this town.” Yet, I had to try. On my longer runs I enter Hamden, a town north of New Haven. I run past schools, hardware stores, and kids on bicycles. I glance briefly at road food establishments like Glenwood, wishing I could eat a lobster roll and run six miles back to Yale with no gastrointestinal distress. Filed under College Life, Dining Halls, Food, New Haven, Restaurants, Reviews, Yale, Zach B. Although I do not fast on Yom Kippur, I still believe in having a big meal to finish off a day of reflection. Repenting builds a hearty appetite. Last Saturday, I was in New Haven visiting my brother and celebrating my dad’s birthday and atoning for my sins. 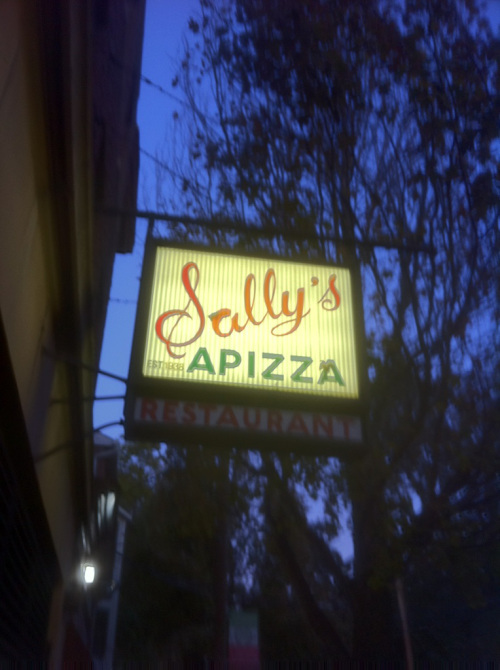 For dinner, we decided on Sally’s Apizza. To beat the crowds, we started out for New Haven’s Little Italy at 5:30. Despite best laid plans, we found ourselves at the tail end of a line stretching down the block. Under ideal circumstances, I hate waiting for pizza. Pizza is a food group that comes with a promise: sustenance served fast. Nothing like a punishing wait for pizza after a day of atonement. As someone of both Chinese and Italian heritage, the eggplant has always been a staple in my family’s cuisine, from stewed eggplant on my mother’s side to eggplant parmesan on my father’s. But even my relatives sometimes forget that eggplant, like the tomato, is actually a fruit; beneath its bitter taste and purple skin lie small, soft seeds. The fruit is capable of absorbing large amounts of cooking fats and sauces, which allows for very rich dishes. Hence, it’s no surprise that many restaurants try to compensate for the eggplant’s bitterness by dousing it in oil or sauce. A staple of anthropological writing is the analysis of communal dining patterns as a way to understand human relationships. Pages have been written about the death of the family dinner and what this means for American family life. Yet, the group dinner has life in it still, friends can still gather to share a peaceful moment in an otherwise hectic day. One of the best places to hold such a gathering in New Haven is Sushi Mizu, a new sushi restaurant no more than a few blocks off campus. Similar to many other sushi joints in new Haven, like Samurai and Sushi Palace, Sushi Mizu offers a twenty-dollar all you can eat special. Filed under New Haven, Restaurants, Reviews, Yale, Zach B. After almost a year, New Haven will have a major, all purpose grocer again. In March 2010, Shaw’s closed its doors along with eighteen other outlets in Connecticut. On February 1, 2011, Stop & Shop announced that it will move into Shaw’s former location, 150 Whalley Avenue, within reasonable walking distance of Yale’s campus. Filed under College Life, Food, New Haven, News, Yale, Zach B. The world of New Haven burritos is a wide and varied one. From national chains like Moe’s Southwestern Grill, to the numerous carts lining Elm and York streets, burritos are a common choice for quick lunch. In contrast to the more well known spots, many people walk right by a small restaurant called La Granja (The Farm), located on Whitney Ave. 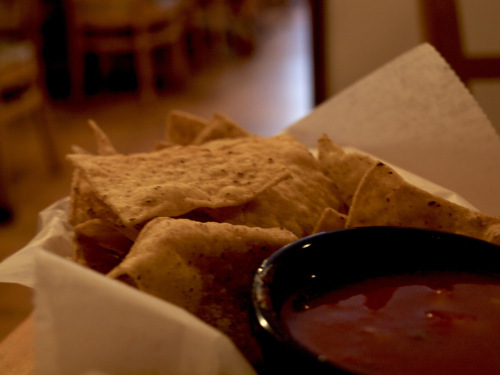 Filed under Food, Restaurants, Reviews, Uncategorized, Yale, Zach B.